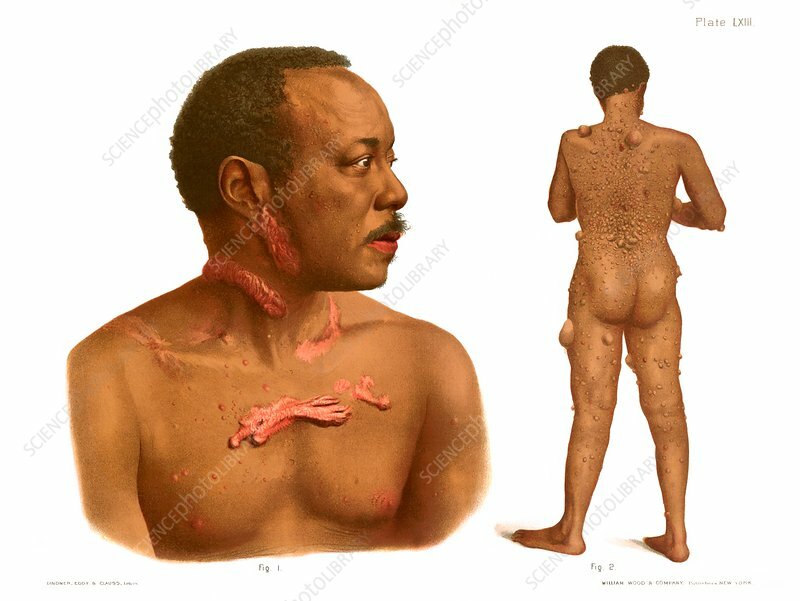 Keloids (left) and multiple fibromas (right) in black patients, historical medical illustration. Keloid scars consist of a masses of collagen, a tough fibrous protein, and form as a result of a defective healing process. Fibromas are benign (non-cancerous) tumours composed of connective tissue. From Atlas of Venereal and Skin Diseases by Prince Albert Morrow, published in 1889.